This is the most delicious cookie for holiday cookie exchange parties – hands down! I have made these for holiday cookie exchange parties and won for best taste! This dessert is a wonderful treat and great gift for friends, teachers, and neighbors. And, it’s an easy recipe! I love Christmas cookie exchange parties. They are a great way to find out new recipes, and discover recipes that are handed down for generations. Sometimes, those are the best types of recipes. But, you know me, I like easy recipes, too. There are a few steps in this recipe, but it’s easy. 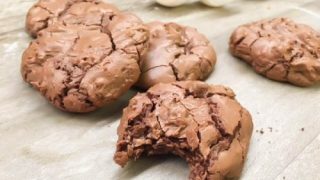 Recipe and printable instructions listed at the end of the post. 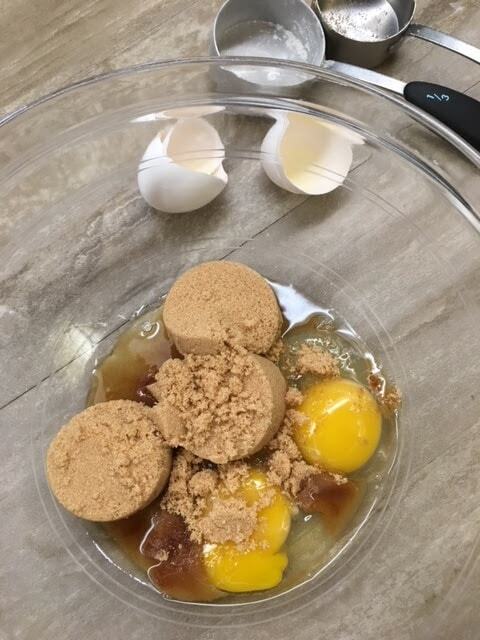 In a medium-sized bowl, mix the brown sugar, vanilla, and egg until creamy. Set aside. 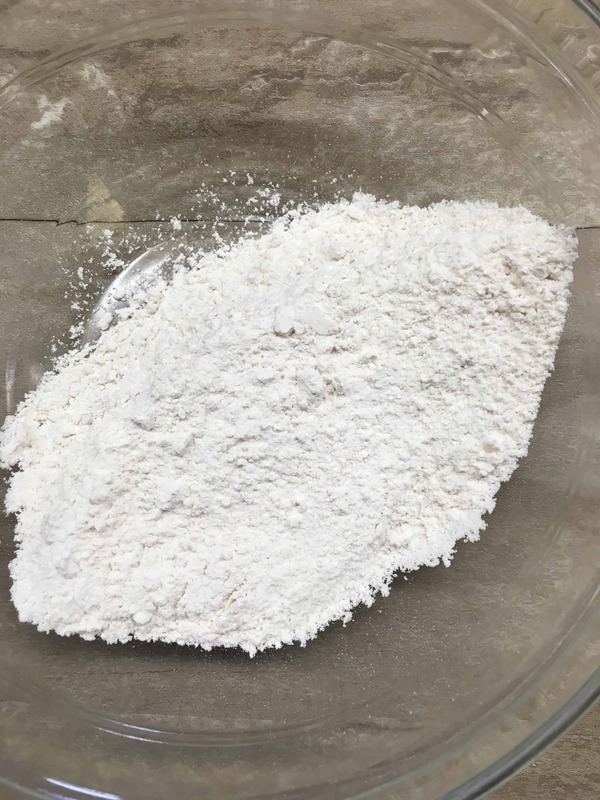 In a small bowl, mix the flour, baking powder, and salt. Set aside. In another small bowl, add the 8 oz. of chocolate chips and butter. Melt in 20 second increments. (It shouldn’t take more than a minute). Mix after each 20 seconds. Add the chocolate to the egg mixture and mix well. 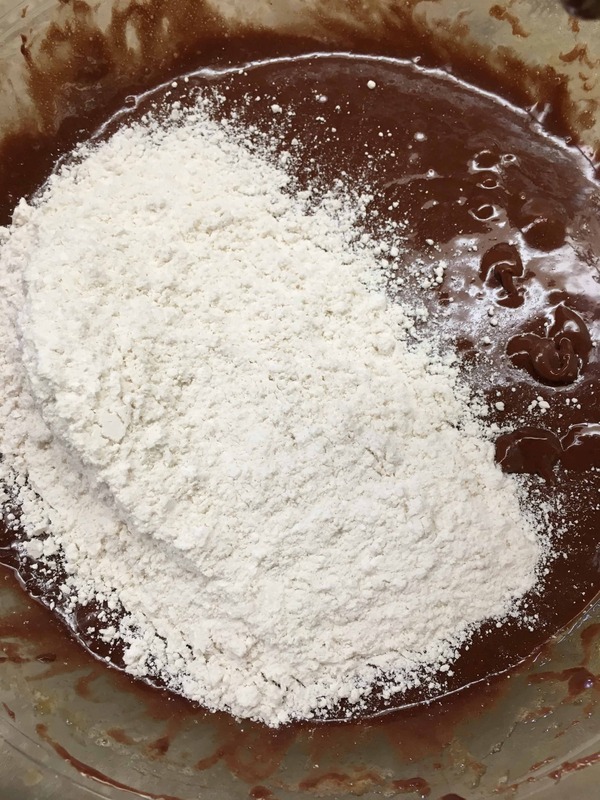 Next, add the flour mixture to the chocolate and egg mixture and mix well. Finally, add 12 oz. of chocolate chips and stir in with a spatula. It’s tough to not dip your finger into the dough. It’s soooooo good and soooo rich! Once you’ve stirred the chips into the dough, take a spoon and scoop a pile onto the cookie sheet. I really like stoneware. It seems to cook more evenly and doesn’t burn on the bottom. You can see in the picture below that I’ve used my stoneware pan so much that it’s almost black. I don’t ever have to use non-stick spray – it’s great! I try to get the double chocolate cookie dough into a ball. I don’t roll it, but I scrape if off my spoon. It will flatten out a little when it cooks, but if you have a little blob sticking out, it will cook that way. So, if you like your cookies in perfect little circles, you will have to help them along a little bit. Bake at 350-degrees for 15 minutes. Once I took the cookies out of the oven, I sacrificed one cookie and used a fork to see if the inside was done (of course, I still ate it). If it’s still pretty gooey, they need to cook a couple minutes more. 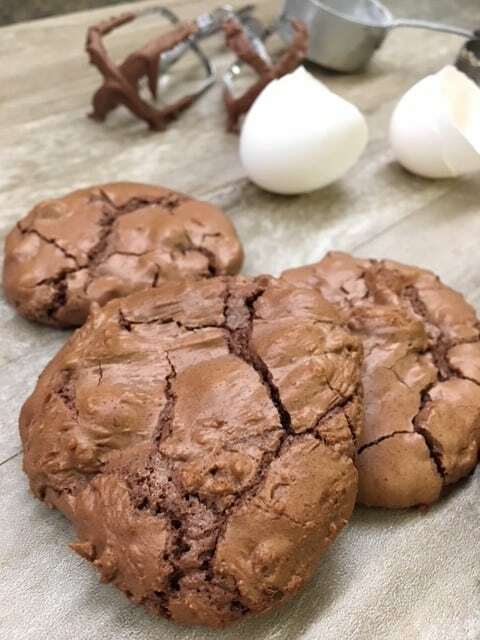 When it looks like the cookies below, it’s done. 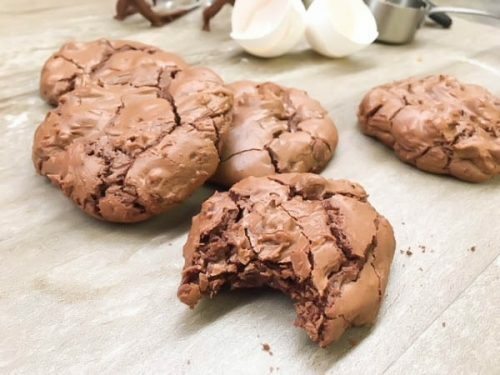 I leave mine sitting on the cookie sheet for a few minutes, because if you try to scrape them off and put them on a cooling rack, you will have a big blob of chocolatey sadness. It will still taste great, but not be pretty. Leave them there to cool for about 5 minutes and then put them on the cooling rack. These are so yummy. They are a little crunchy on the outside and gooey on the inside. 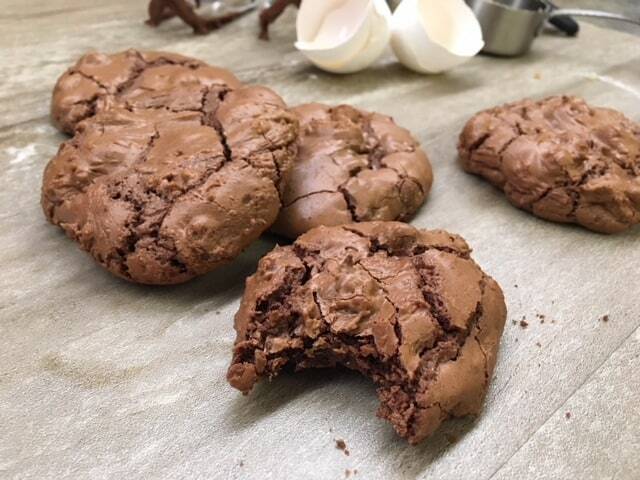 The chocolate cookies are super rich and you really can only eat a couple at a time. Believe me, I’ve tried. I love the way they crack and are shiny. They are so pretty! 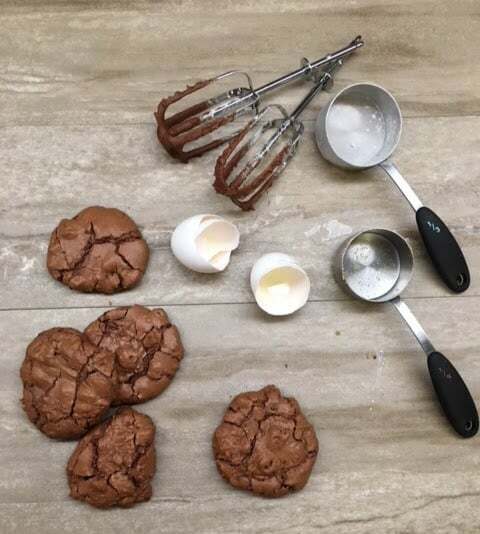 Easy Double Chocolate Chip Cookies are a delicious dessert. They are perfect for cookie exchange parties, Christmas, potlucks, or any time of year. In a medium-sized bowl, beat light brown sugar, vanilla, and eggs until creamy. Set aside. In a small bowl, melt 8 oz. 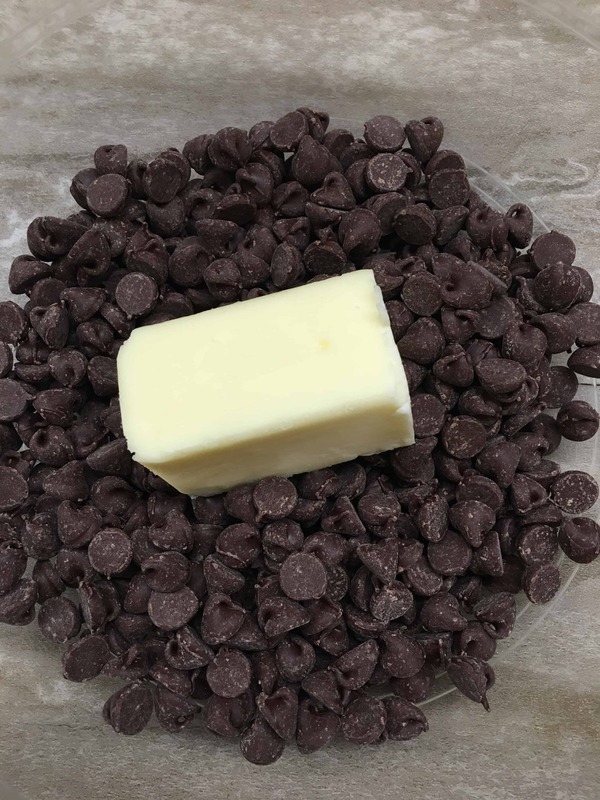 of chocolate chips with butter. Melt in increments of 20 seconds, stirring each time. Add the melted chocolate to the eggs mixture and mix until well blended. 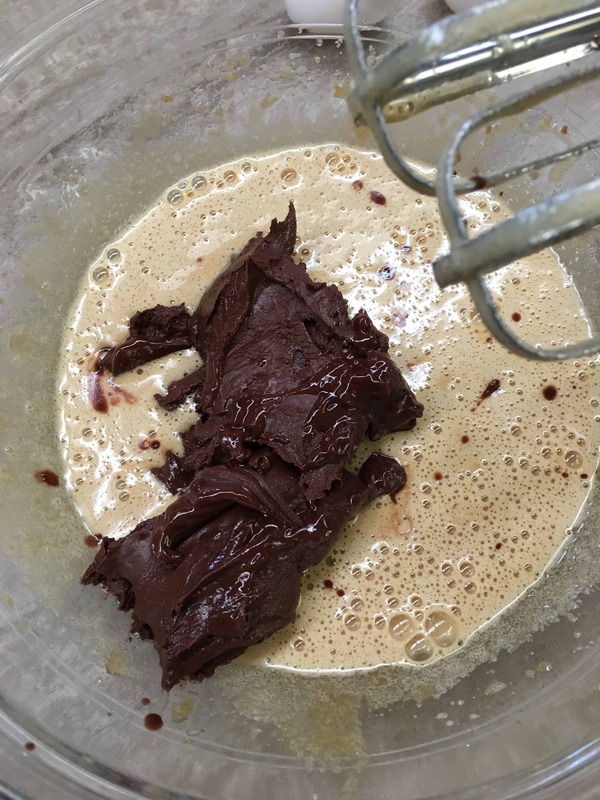 Add the flour to the chocolate mixture and mix until well blended. Add 12 oz. 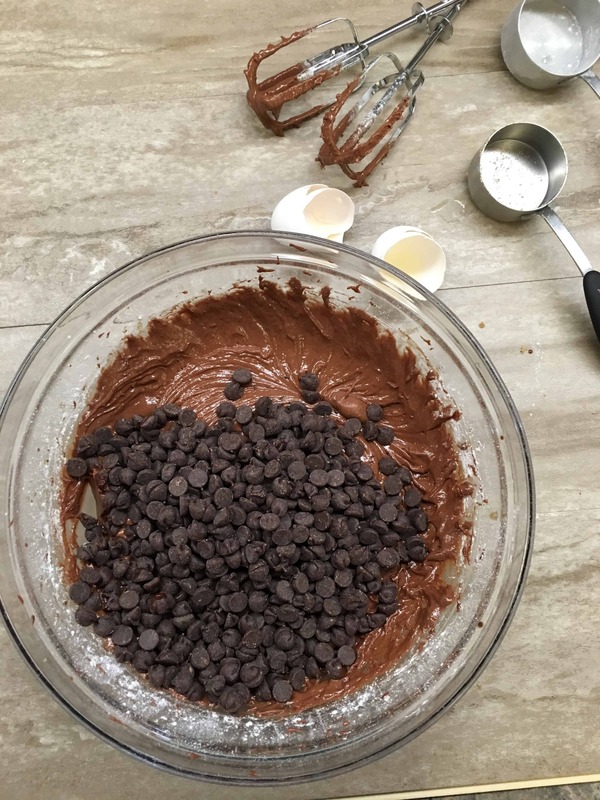 of chocolate chips to the mixture and fold in. 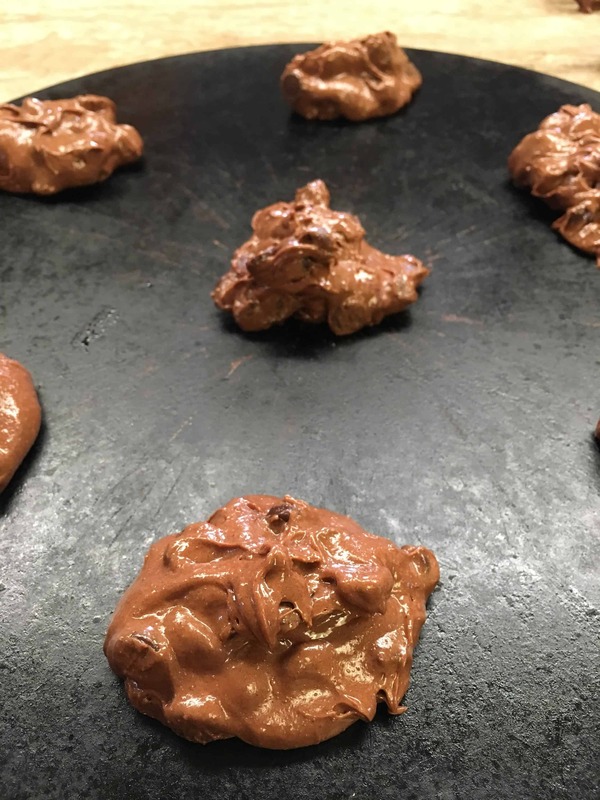 Drop a spoonful of dough 2 inches apart on a cookie sheet. Bake for 15 minutes, or until cookies crack. Let the cookies cool on the cookie sheets for 5-10 minutes. Remove and place on racks to cool.